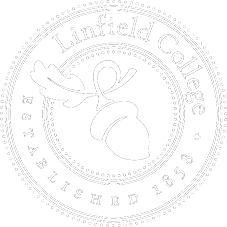 Linfield College will observe Constitution Day with an event on the relationship between civility and inclusion. The Frederick Douglass Forum on Law, Rights, and Justice and the Program for Liberal Arts and Civic Engagement (PLACE) will hold a “Conversation about Civility, Diversity and Inclusion” on Tuesday, Sept. 18, at 4:30 p.m. in the Richard and Lucille Ice Auditorium in Melrose Hall. The conversation will feature two visiting scholars and two Linfield students. The guest speakers are Sharika Thiranagama from Stanford University and Brandon Turner from Clemson University. Thiranagama is the author of two books and multiple articles, and the co-author of “Against Civility” in the journal “Public Books.” Turner is the author of essays on the agonistic foundations of liberal democracy. Linfield students Pedro Graterol ’21 and Aspen Brooks ’19 will each give a short talk on the theme of civility, diversity and inclusion and then each visiting scholar will do the same. After these speeches, the students and scholars will engage in a conversation before opening the floor to questions and comments from the audience. This event is free and open to the public. 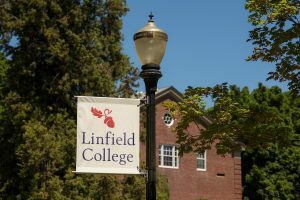 For more information, contact Nicholas Buccola, professor of political science, at 503-883-2246 or nbuccol@linfield.edu. This entry was posted in Campus Events, Press Releases and tagged and Justice, Aspen Brooks, Constitution Day, Frederick Douglass Forum on Law, Nicholas Buccola, Pedro Graterol, PLACE, Rights. Bookmark the permalink.